Recently, Diana Davies-Harju, the CMO of Magnifi asked me to talk about the advantages of mentorship as part of strategic planning at an event for young entrepreneurs. Magnifi is an audio and video platform that connects people to expert mentors, on demand. It’s like using FaceTime or Skype, with a built-in meter. Although these ideas were first shared with an audience of high school and university students, I believe the content has broad appeal so I’m describing it here. Many people in the Zonta community are business owners or work in the professions. When you’re just starting your journey as an entrepreneur, self-employed person or professional there are lots of hidden obstacles that you only understand in hindsight. There are so many things in life that aren’t easy to learn at school. Fortunately, today’s technology means we don’t have to learn everything the hard way, which is a time-consuming and risky way to learn. Here’s where mentorship comes in: it’s much faster, safer, smarter, and cheaper to learn as much as you can from other, more experienced people. 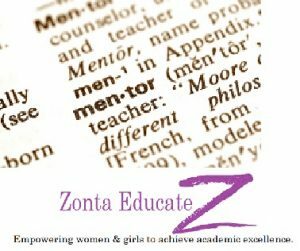 Given the types of people who tend to join traditional and online Zonta clubs, there are tremendous opportunities for mentorship, both in person and by using technology to access the wisdom and experience of our amazing Zonta network. Many of us are reluctant to ask for help because we think it’s a sign of weakness. The fact is that mentorship is associated with success. Here’s a great example. 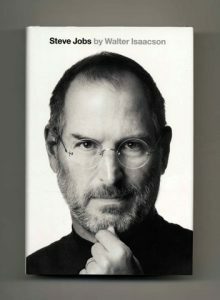 According to Walter Isaacson’s 2011 biography of Steve Jobs, Jobs had seven mentors. When I first learned this, I was surprised. Jobs had a reputation for being an independent-thinking-tech-cowboy. The folklore around him was that he did what he thought was appropriate regardless of what others said or the trends of the day. One of Jobs’ mentors was Robert Friedland whom he met while auditing college courses. Friedland taught Jobs about persuasive communication and selling, two skills that Jobs mastered and put to good use. An interesting thing about Friedland is he owned an apple orchard; I’m sure the symbolism is obvious. Bob Noyce was another of Jobs’ early mentors. Noyce is credited with inventing the microchip and giving Jobs’ an insider’s perspective on the tech industry. The way Jobs positioned Apple is quite different from the ways that other tech companies positioned their services and products. A third mentor was a Zen Master named Kobun Chino Otagawa. Otagawa’s impact can be seen in the minimalist design aesthetic that is Apple’s signature style (and Otagawa officiated at Jobs’ wedding). Clearly, the impact of Jobs’ mentors can be seen all over the business strategy that has proven to be so vital to him and Apple. What’s also clear to me is that although much of the mythology around Jobs is the tech-cowboy who did what he liked and didn’t follow others, his mentors left their marks on his work. It wasn’t intentional that these examples all feature men. But, it’s a wonderful example of the sometimes hidden “good old boys’ club.” It’s also a wonderful example of the fact that Zonta could, and some would argue, should be operating as a “good old girls’ club,” by providing opportunities for mentorship and sponsorship. Sponsorship is when we help create opportunities for someone by making introductions and referrals that help the person make progress in their career or their business. It’s one natural end result of effective networking. What Does This Have to Do with Magnifi? A formal mentoring relationship can be hard to find and relationships take time to grow. Plus, as you can see in from the Steve Jobs example, it can be beneficial to have more than one mentor to help us with different aspects of our professional and personal life. In the meantime, the Magnifi app and community gives you access to all kinds of advisors and experts across a range of domains. The experts on Magnifi can provide career advice (from yours truly), dating and relationship advice, or making the most of an on-camera appearance (Zonta eClub member Amber Nasrulla is an expert in this realm). 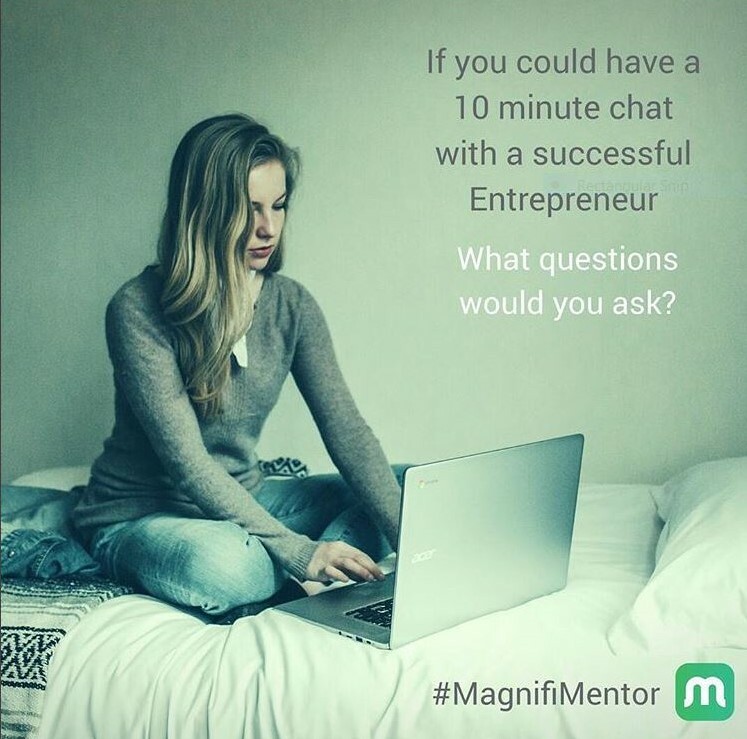 Magnifi gives you access to what I think of as “mentorship-by-the-minute,” right when you need it. It’s a win-win. Through the app, experts can set their hours and be paid for their time. Some may offer their advice on a voluntary basis. For an interesting perspective on the power of sponsorship, read this March 2018 article from the Globe and Mail. Dr. Helen Ofosu is a Career Coach and HR Consultant with I/O Advisory Services. She is also a founding member of the Zonta eClub of Canada1. The views expressed here do not necessarily reflect the views of members of the Zonta eClub of Canada1 or Zonta International. Posted in Blog, mentorship, sponsorship, women in business, women's organizations and tagged entrepreneurship, leadership development, mentorship, networking.